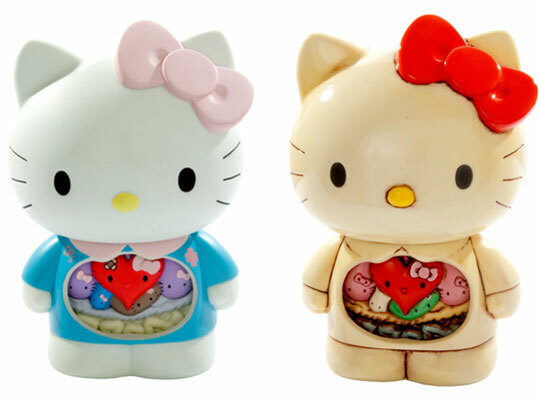 Dr Romanelli has released some new Hello Kitty designs produced by Medicom Toys. Dr Romanelli has gotten together with Sanrio for a special Hello Kitty collaboration produced by MEDICOM TOY. The project between the three companies includes three styles of DRx/Hello Kitty figures in addition to a capsule apparel collection. Do you have a favorite Hello Kitty designer? What Hello Kitty items do you own or want? Have never had a Hello kitty before. Alot of girls I worked with before were big Hello Kitty fans. A cute line of products. Always something new.